After a delayed announcement of the 2015 lineup, Firefly organizers are out with the next summer’s performers much earlier. 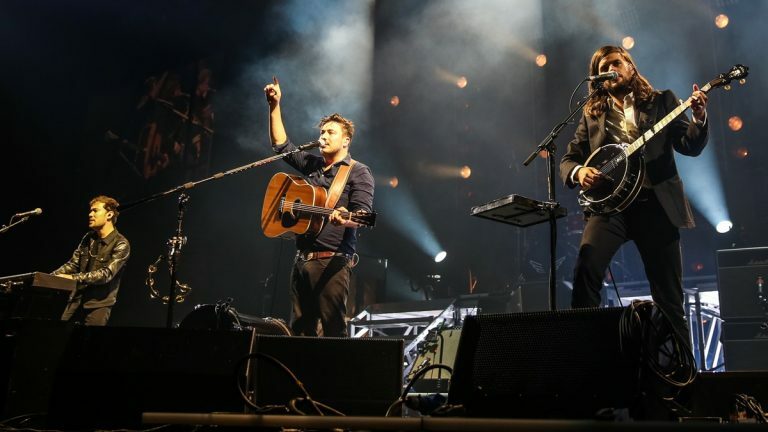 Mumford & Sons, Kings of Leon, Florence & The Machine, and Deadmau5 will headline the fifth annual Firefly Festival next June in Dover. General admission and VIP tickets will go on sale Friday. Other performers among the more than 100 acts include Ellie Goulding, Disclosure, Blink-182, Death Cab for Cutie, M83, Tame Impala, The 1875, A$AP Rocky, Of Monsters and Men, Major Lazer, and Chvrches. Last year, 90,000 music fans attended Firefly on the grounds of Dover International Speedway. Bad weather forced an evacuation of the festival Saturday night, cancelling a number of performances including headliner Kings of Leon. Kings of Leon will return to make good on last year’s rain out. General admission tickets for the four day festival start at $279. The full lineup can be found at FireflyFestival.com.